Louis Grams is a retreat leader, conference speaker, and music composer, and also develops courses on different aspects of Christian life. A retired leader in the ecumenical Christian community the People of Praise, he is also a co-founder of Christians in Commerce, an international outreach for business and professional men and women. He and his wife, Nancy, have five children and three grandchildren. 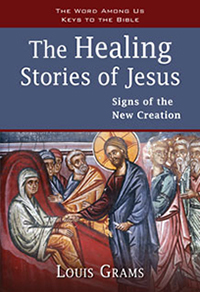 This Bible study examines six of the Gospel stories in which Jesus healed those suffering from a variety of physical or spiritual afflictions. While healings demonstrate the love and compassion that Jesus has for each one of us, they are also a sign of the new creation he came to inaugurate—an announcement that the kingdom of God is at hand.